Hello everyone, I'm a die hard Sony ericsson fan who can't make up his mind about buying the W550 or the k750... I love the disign of the W550 but I heard the k750's camera is alot better. can anyone help me? Experiences with both phones are more than welcome! Contact me by mail please. hiii guys after all i would like to say that sont has made it guys with its fones that made nokia as a baby. but i had many questions about the w550 i heard that it had software problems is that true ?!!!! plz help me guys one more thing how can i backup my numbers huh ? i have heard that on the w600i sometimes the screen will white out and you have to get it replaced. does anynoe know how often the phone does that or if i buy it i have a good chance of it happening to me. I use Nokia bluetooth handfree and I used Motorola bluetooth before, it work good without any problems. Yes you can use MP3 for message alert. I'm looking to change phone and like the reports you all give this phone, but I've heard that there can be problems with older SE when using bluetooth excessories that are NOT made by SE, is this true? I have a Jambra bluetooth handsfree earpiece, will this work? here...when you press right twice...is that the menu slide very fast?? ?and the highlight on this section not slide like other but jump?? ?my phone like that!please check it out! when i start IMAGE EDITOR in my pc,my pc cannot detect my w550!i already turn on the bluetooth dongle and bluetooth on my phone...but still cannot connect!its only connected when i using usb cable...but its so irritating bcoz its messy!wire!wire!wire! it is very frustating becoz when i use K700 before,it so easy to connect my phone(K700) with IMAGE EDITOR! this new software is very complicated! Please teach me step by step how to make my IMAGE EDITOR in my pc can connect with my phone using bluetooth! Can Any 1 plzzz plzzz tell me tht this phone can support 3gp format. I am using it for 3 weeks now, great phone, no problems at all, I downloaded about 80M MP3 songs without any problems. what can i say...its good! (especially the sound)..but there are several problem occour to my phone and makes me worried! 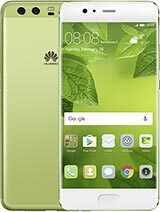 within 4 days i owned this phone.....the screen suddenly turns white 2 times... while i typing sms and looking to the picture!i dont know what to do.....i just press back key and its start up!i feel very dissapointing!i just think..maybe the software are not stable yet!maybe..the software are not stable!is it true?? BUT....i really LOOVEEEEEE this phone! well i have a problem...... my messages get stored up in the sim memory..can i see the phone memory for that? sorry to reply so late.. hasn't been reading this for awhile. can u leave yr email to me. then i'll email u. thanks. jus one thing is not so good..
the mp3 sound is good.. but when it change tracks it have a very distorted sound... my friend's phone also same.. anyone have this problem? the only down side of W550i is the camera quality. not that good. Hii, i think this a nice mobile, but..